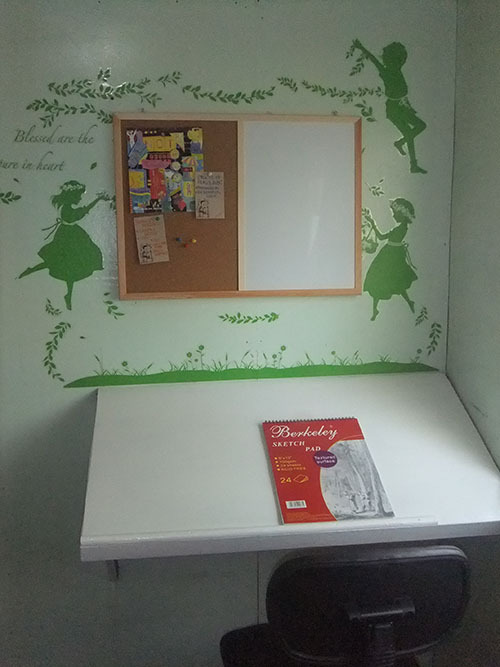 Hubby converted a small corner of the house into a drawing room for our daughter. It may not appear as the great studio desk but daughter is so happy that finally she has a separate space and a drawing table where she can do all her drawing activities while at home. She decorates the wall with a large wall sticker that I bought her last June and hang a cork board to post her assignments. Hubby just completed another DIY project for the house. I want this! hihihi. Well, your daughter truly deserves one for being an awesome artist! <3 I love the colors of the stickers too heehee. Yay for the new drawing workspace!!! Wow beautiful, so impressive. I am pretty sure your daughter will appreciate it so much.